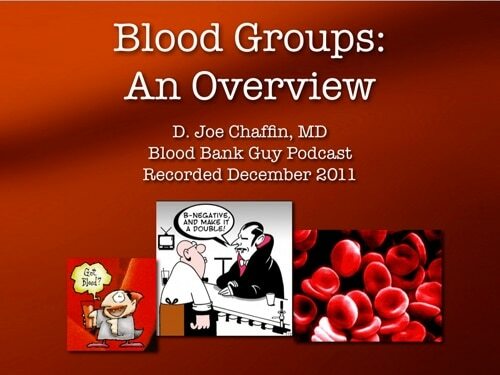 Part 1 of the “Basic Immunohematology” series is a 2011 overview of then-current blood group terminology and details. 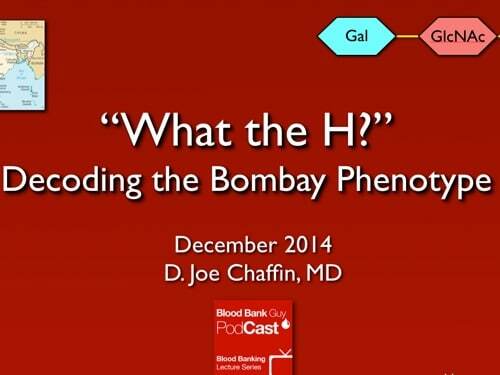 Part 2 of the “Basic Immunohematology” series is a look at pretransfusion testing, recorded in 2012. 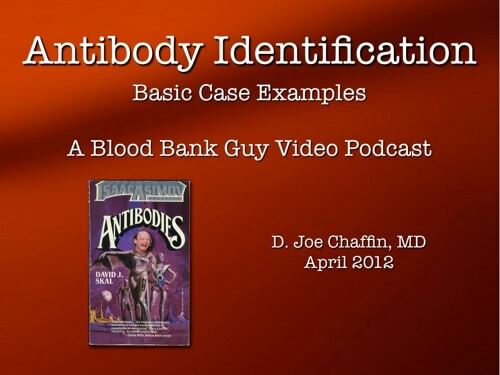 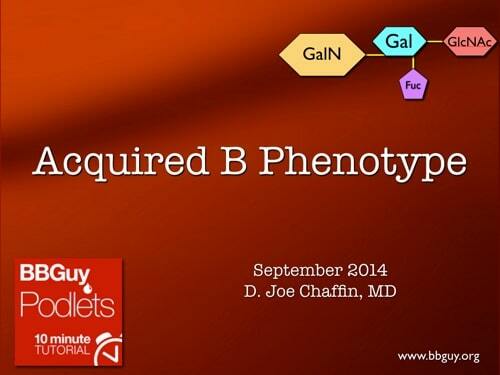 This 2012 look at how to approach an antibody identification panel is the most popular BBGuy video of all time! 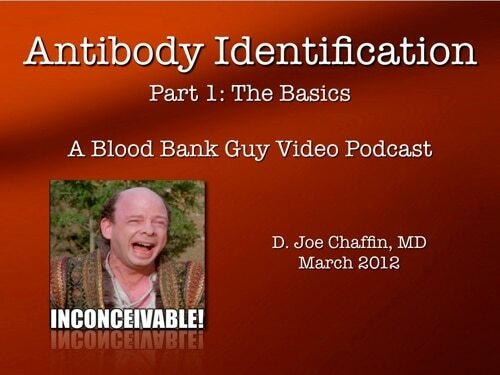 The last in the “Basic Immunohematology” series is this 2012 look at basic antibody identification cases, step by step by step! 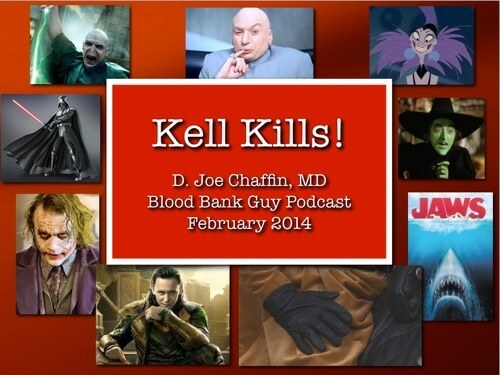 The February 2014 Blood Bank Guy Video is a tour through the details of the Kell Blood Group System. 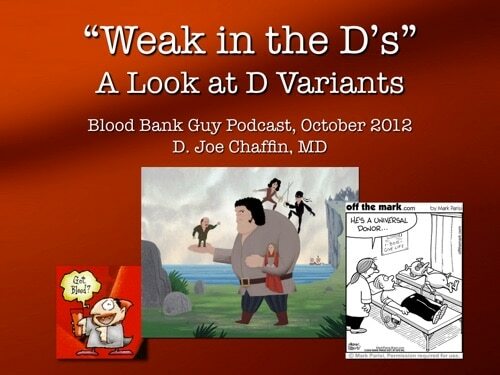 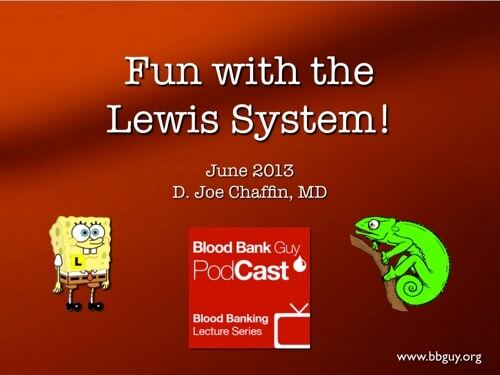 The June 2013 Blood Bank Guy video is a discussion of the details of the sometimes-confusing but always entertaining Lewis Blood Group System! 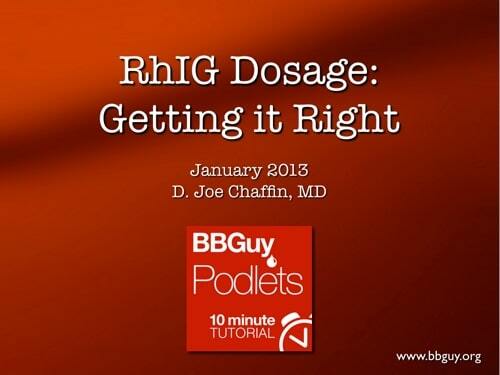 This Ten Minute Tutorial describes the correct dosage of Rh Immune Globulin after a D-negative mother delivers a D-positive baby. 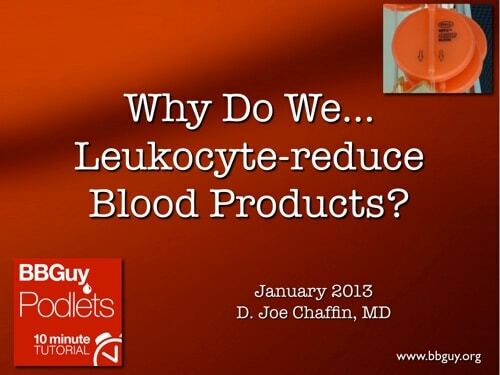 This 2013 video covers the rationale behind leukocyte reduction of cellular blood products. 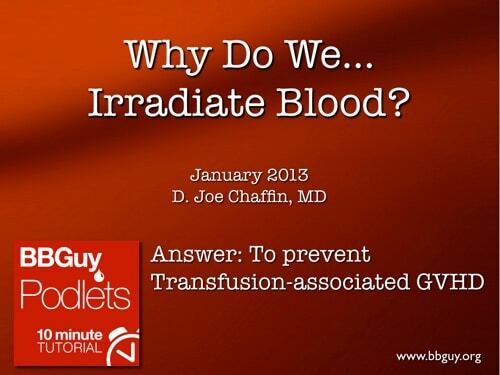 This 2013 video covers the rationale behind irradiating cellular blood products. 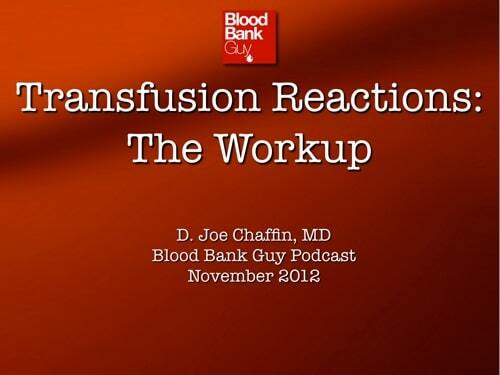 Part 1 of 2: This November 2012 video describes how to approach a basic transfusion reaction workup. 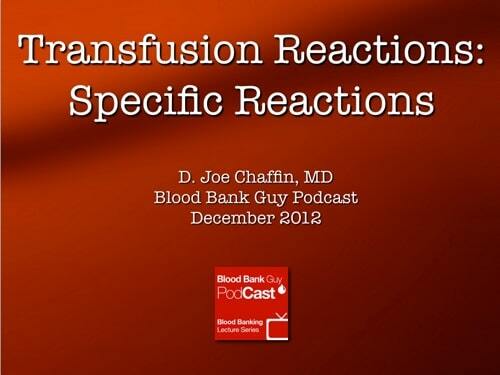 Part 2 of 2: In December 2012, I described important details for a wide variety of transfusion reactions, and outlined a basic classification system. 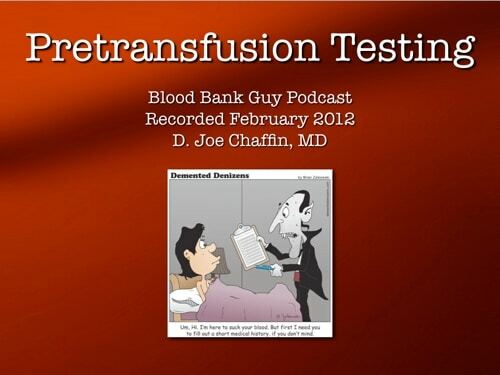 This video from 2011 is an introduction to the technology and terminology of the testing used then for testing blood donors for transfusion-transmitted diseases. 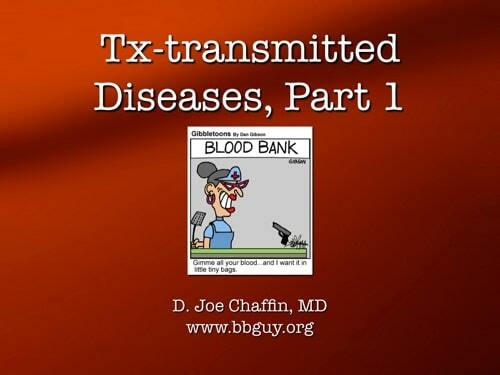 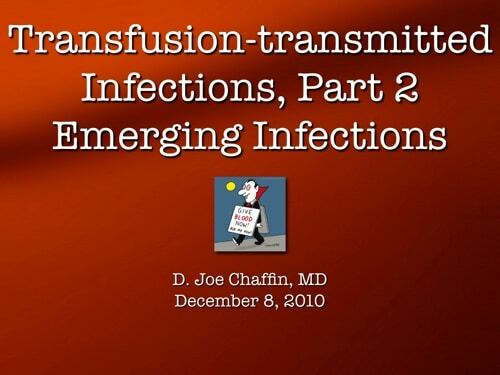 In the second 2011 TTD video, I discuss the specific organisms most associated with transfusion-transmitted infections.